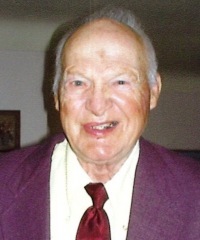 Kenneth Roe Cotterman, 87, residing in Huron, went to be with the Lord early Thursday morning, August 2, 2018 at The Meadows at Osborn Park after a lengthy illness. Kenneth was born on April 5, 1931 in Thornville, OH to the late Myron O. and Florence E. (Snider) Cotterman. Kenneth was a Veteran of the US Airforce who proudly served his country during the Korean Conflict. He retired from the former New Departure Hyatt after 24 years of service. Kenneth was a member of North Pointe Baptist Church and the American Legion Post 83. He loved the outdoors, he was a farmer, loved listening to the birds sing and loved fishing, especially in Colorado. Kenneth is survived by his wife, Nancy (Heinzer) Cotterman, whom he married on April 28, 1956. He is also survived by his daughter, Rose (David) Marschke of Sandusky; niece, Jeanne (Gary) Bales of Hebron, OH; nephews, Devon (Becky) and Robert (Paula) Cotterman both of Columbus; step-brother, Norm Cotterman of Milltown MT and other relatives. In addition to his parents, Kenneth is preceded in death by his two brothers, Dr. Clarence Cotterman and Dr. Vernon Cotterman. Friends may call on Tuesday, August 7, 2018 at 11:00 am until the time of funeral services at 1:00 pm at Groff Funeral Homes & Crematory, 1607 E Perkins Ave, Sandusky. Private family burial will be held at a later date in Oakland Cemetery, Sandusky. Those wishing to contribute to Kenneth's memory may do so to Back to the Wild, PO Box 423, Castalia, OH 44824.